I first learned of thisisteen.com from brilliant editor, Cheryl Klein. 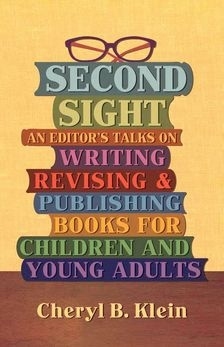 Ms. Klein was the continuity editor for the last two Harry Potter books, and I was fortunate to review her own book, Second Sight, for Sprouts magazine and for the L.I.L.A.C. Newsletter. If you're interested in keeping your finger on the pulse of YA literature, check out the thisisteen site. And if you would like a fresh look at the art of revision, check out Ms. Klein's book. As I wrote in my review, Second Sight is a resource you will turn to again and again.